With one team to manage your entire event. Get the flexible solutions ​and full support you need to build better relationships and grow. An all-in-one solution. ​That's not one-size-fits all. 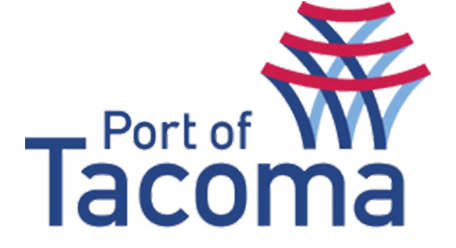 That’s what the Port of Tacoma wanted. Because to get their message out they needed a whole host of things: on-location video production, live streaming of public meetings, and a branded and user-friendly web portal to host registration for attendees. Not to mention agendas and recordings. And post-production services. But they didn’t want to waste time and money micromanaging multiple teams from different service providers. One expert to manage your entire event. This was on the list of “would like to have’s” for Align Technology before they found us—someone to manage all the administrative tasks for their events. ​And an expert on their preferred platform, who they could trust to troubleshoot with attendees and presenters. They could have hired two people. Instead, they came to us. We paired them with a dedicated event manager who was also an expert on their platform. One person who handled everything and worked seamlessly with their whole team. The result? Worktank now provides support for multiple Align Technology programs — it is safe to say their "wish-list" quickly turned into a "why didn't we do this sooner!?" A cost effective way for an enterprise CEO to ​deliver critical information. With employees spread all over the world, that’s exactly what Tektronix needed to grow. A reliable and timely way to get everyone on the same page. Even if they couldn’t get them all in the same room. They partnered with us to run their quarterly internal video webcasts. Worktank provided high-quality video streaming, synchronized with slides and pre-recorded video. We also managed their virtual Q&A, ensured employee-only access, and delivered post-event reporting. Tektronix’s president, Pat Byrne, is a dynamic and motivating speaker. With our robust technology, his message was even more powerful, creating a greater sense of connection among employees the world over. Improving communication and keeping costs in check. Now that’s a win-win for everyone.